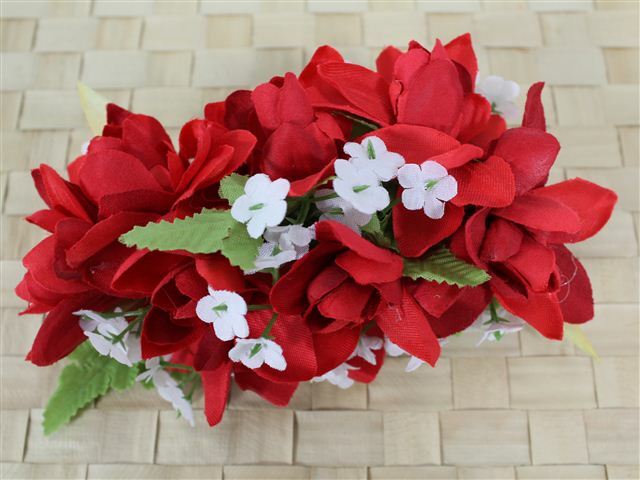 Purchased Item: Red Long Tuberose Clip 6"
This beautiful flower is so vibrant with color, yet soft on the eyes. the white flowers break up the red color which adds a softness to the look. Unfortunately, it arrived with one side smashed. Probably happened in the shipping. I am trying to straighten the flowers out, but it is hard.